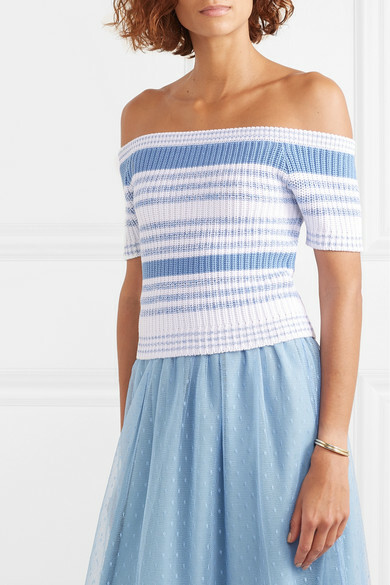 REDValentino's Bardot-style top was paired with a pretty tulle midi skirt and sneakers at the Spring '19 presentation. 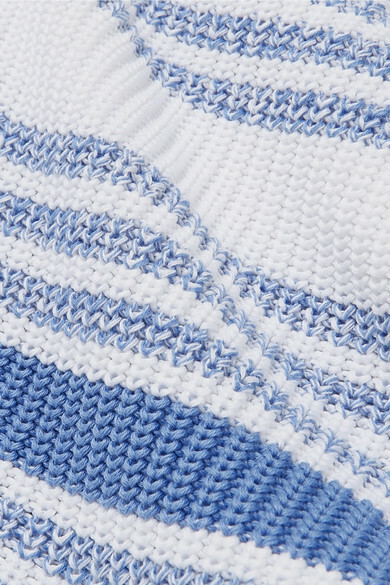 It's knitted from thick cotton and striped in pastel shades of blue and white. 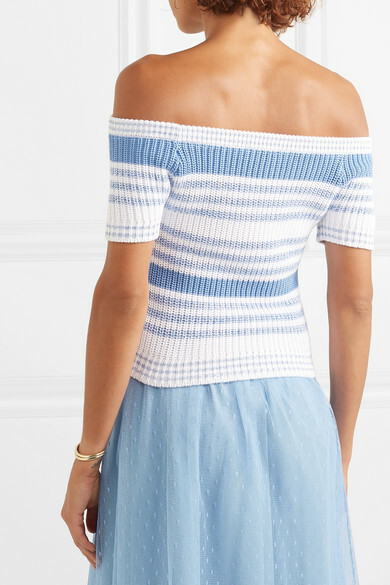 Underpin the off-the-shoulder neckline with a strapless bra. 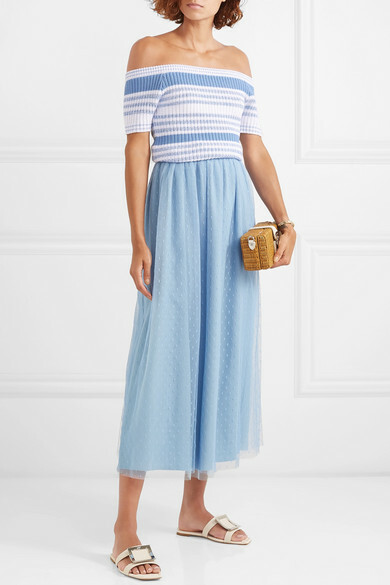 Shown here with: REDValentino Skirt, Miu Miu Shoulder bag, Roger Vivier Slides, Sophie Buhai Cuff.